For the twenty ninth installment in our ongoing interview series here at Dirt Orcas, we are very pleased to speak with Kinga Tanajewska. You may have heard of her. 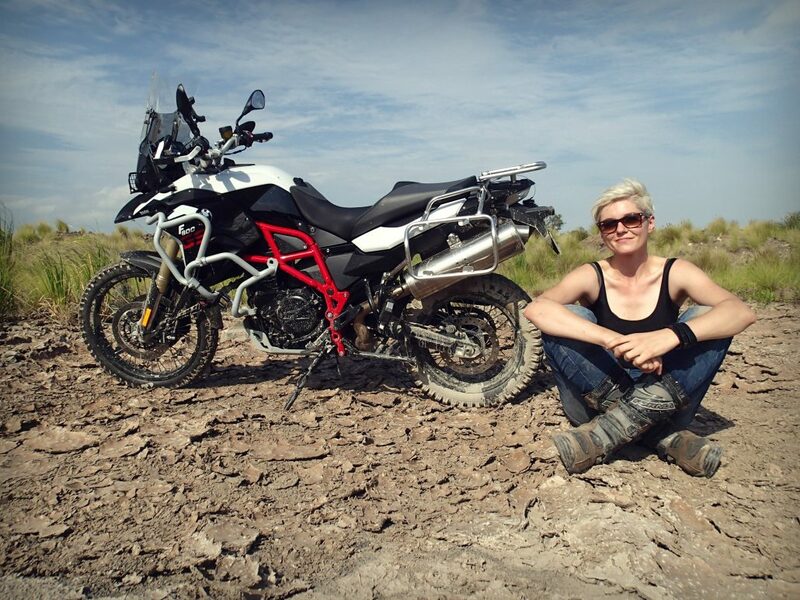 She has just launched her round the world solo motorcycle trip. 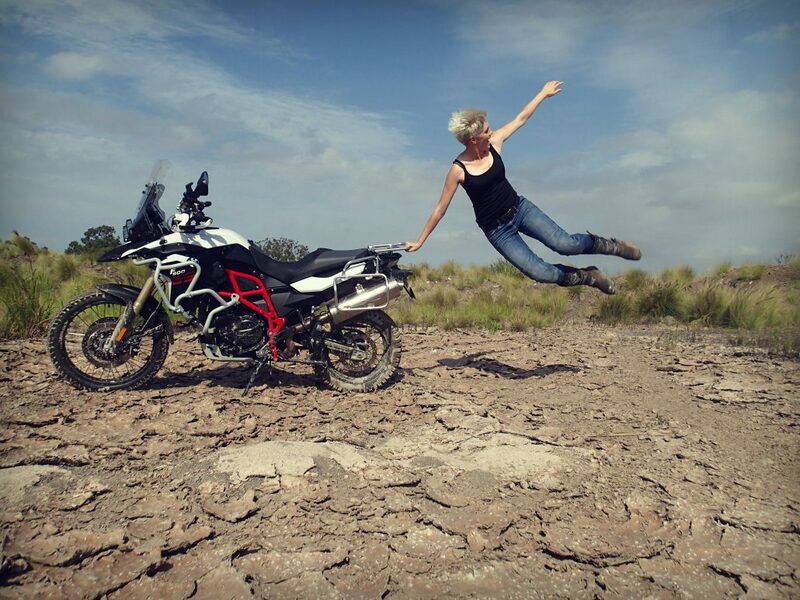 She is affectionately known on social media platforms as “On Her Bike“. When I first started to explore the depth of great stories Instagram has to offer adventure types, Kinga was one of the first people I found. Her story is heartfelt and real. Enduring some difficulties but always putting her best foot forward and staying true to herself. 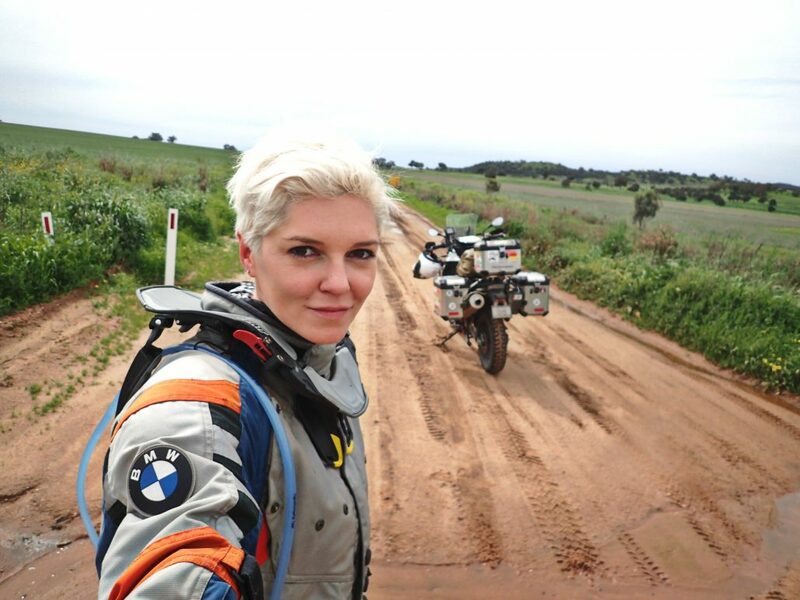 Remaining focused on her goal of riding her motorcycle around the world. Her dream is now underway. 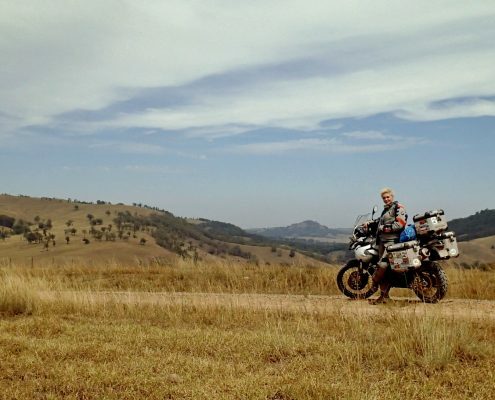 She recently departed Australia for South Korea and is currently (as of publication of this interview) shipping her bike to Russia to begin her journey West. 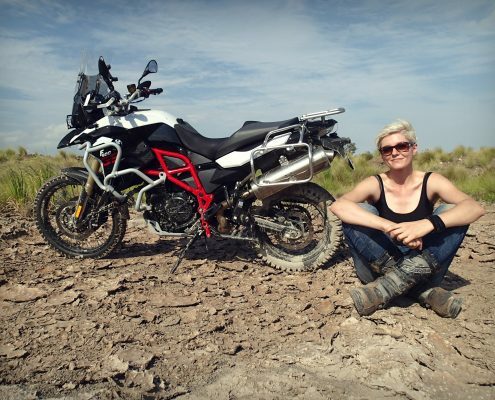 You can follow Kinga (On Her Bike) on her excellent social media accounts – Onherbike Instaram, Onherbike Youtube Channel, and Onherbike Facebook page. Of course you can also check out her personal blog onherbike.com for even more information and goodness. I am certainly looking forward to following Kinga’s journey. 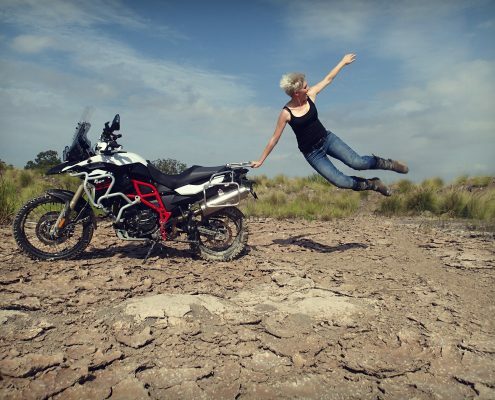 She follows in the footsteps of many other great female adventure riders, but she certainly brings a unique style and panache to her travels. Each rider has their own style of travel and their own focus on the reasons for the trip. Kinga brings exuberance and joy to her travel. Her bubbly personality is infectious and you see it in her photos and in the faces of those around her. She is an excellent reminder to focus on the things you want in this life and to keep fighting for your dreams even when the going gets tough. Sorry, I don’t understand this question. Tell me about your bike. Did you name it? What other vehicles did you consider and what made you ultimately pull the trigger on your current bike? Have you made any upgrades or modifications to it? Outback Motortek engine guards and skid plate. They have been tested in all sorts of falls including a head-on collision, and each time they have protected the engine well. 7L auxiliary Camel Tank. It gives me almost 500km of range, which is perfect for riding in remote regions. Barkbusters VPS Handguards. These protect the controls from falls and tree branches, I’ve also added LED lighting strips for better visibility. BMW aluminium panniers. I prefer using hard luggage in my long distance travels for safety and practical reasons. They’re lockable so I can leave my gear in them overnight and they make a good, strong ‘side stand’ in case you drop the bike. Personally, I struggle to pick up my bike from that angle without them. Pivot pegs: for better bike control while standing up. Wunderlich Vario Ergo Windscreen. It is adjustable and high which is perfect for my height while touring. 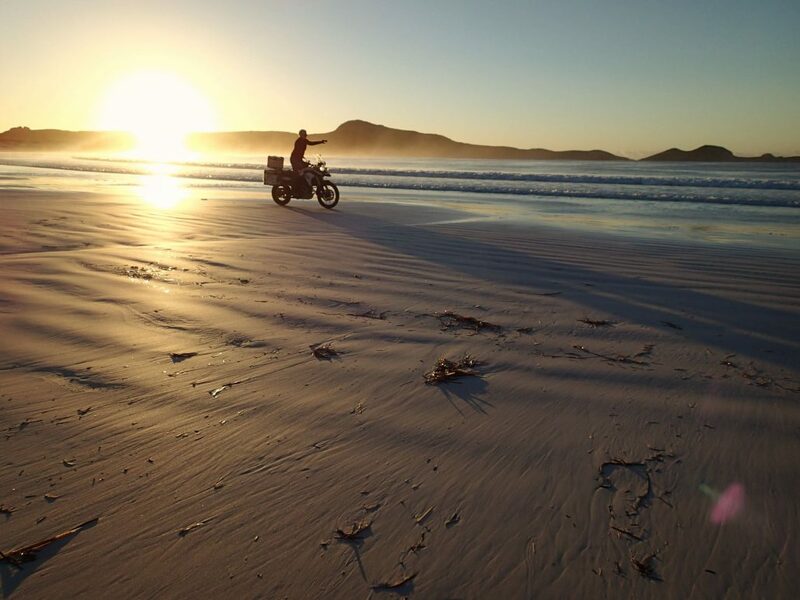 Where ‘s the best place you’ve taken your bike? 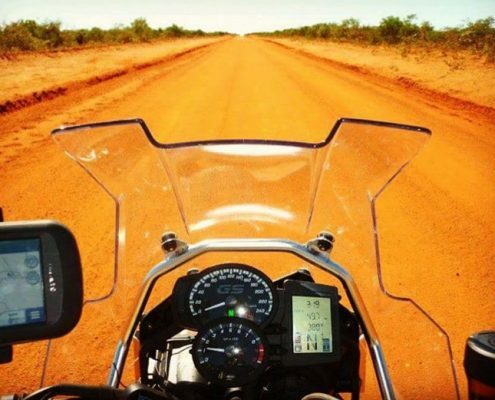 Australia is made for adventure riding, there are unlimited dirt tracks and stunning landscapes in each state. If I had to pick a favourite one it would be the Pilbara region in Western Australia. It’s the real outback: harsh, vast and remote. 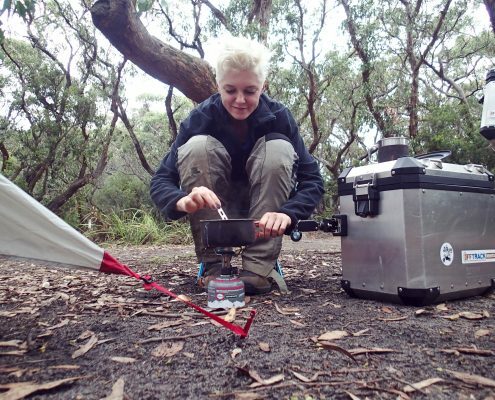 I love riding through uninhabited lands and camping on my own. I’ve ridden so many great roads but my favourite ones are the ones I’m yet to discover. In one word, what best describes your approach to life? If you could give advice to a person who’s thinking about living and working out of a vehicle some advice, what would you tell them? Do it while you still can. Don’t be scared; there are plenty of people who have already done similar things. You’ve got one life so live it. It takes a special kind of person to recognise that the journey, not the destination, is what life is all about. Was there a point in your life where you became conscious that you were one of those people? 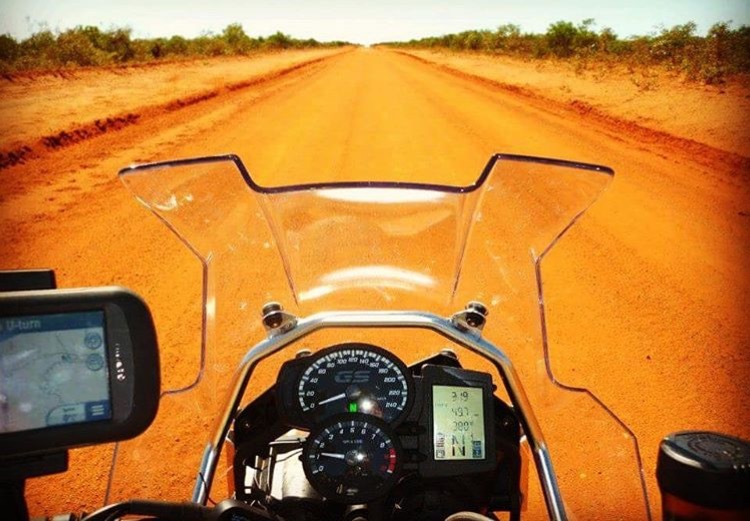 I have loved travelling as far as I can remember, but my solo ride around Australia was an eye opening experience that made me realise that long distance travelling with an unknown destination is the best way to explore the world. Being originally from Poland, what values do you think your home instilled in you, that you take on the road and bring to your work? Polish people are courageous, a bit stubborn, practical and impatient! I’m a mixture of it all, as I tend to push my boundaries to prove to myself that it can be done. Thanks to my impatience and curiosity I like to keep moving and exploring new places. I admire your ‘outside the box’ approach to travel. Do you see yourself as somebody who took a leap of faith to live in an unconventional way or do you think it kind of ‘just happened’? 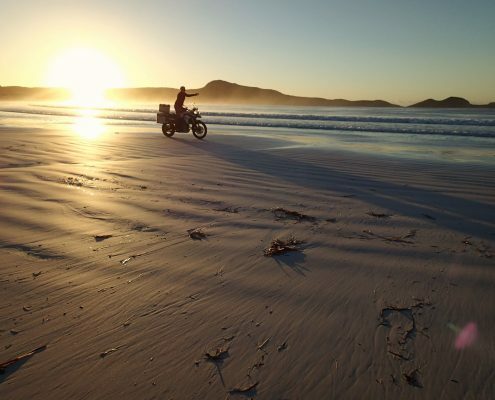 I’m about to finish my current job and fulfil my lifetime dream; to ride around the world solo. At this stage I can say that I’ll be travelling for about 1.5 y2 years in the hope that I’ll be able to circumnavigate the globe during this time. 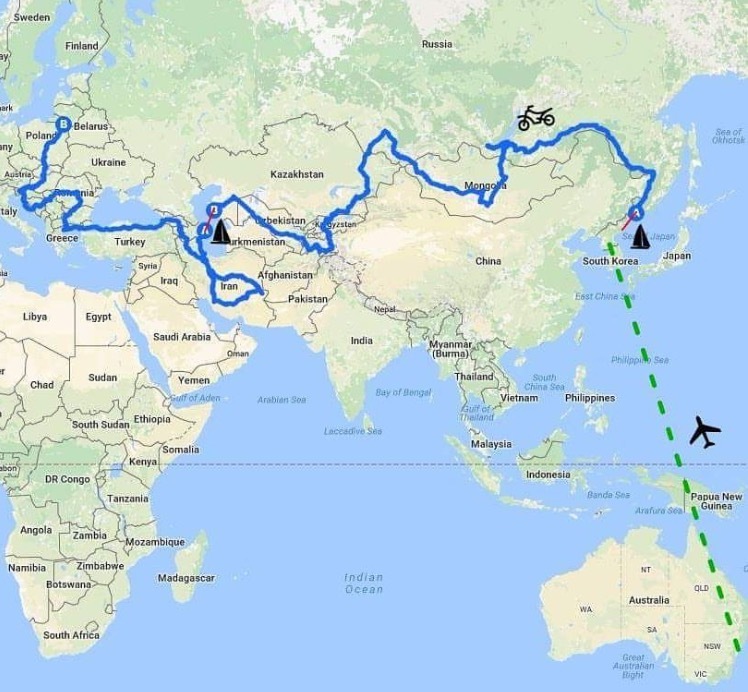 My plan for the first stage of the trip is to ship my bike in April from Australia to South Korea and from there I’ll be catching a ferry to Vladivostok (in Russia). 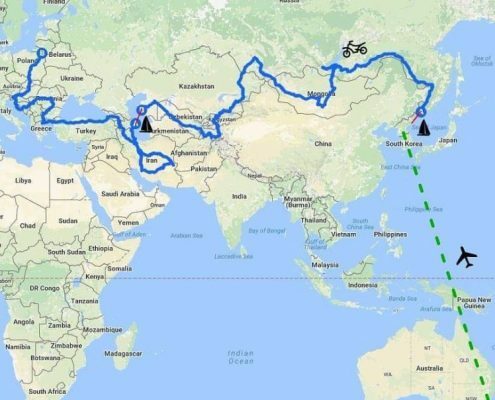 After that I will ride through Mongolia, most of the ‘Stans’, Iran, Southern and Eastern Europe to Poland. After a few months rest over winter in Poland I’ll continue to Africa and then South and North America. This trip isn’t just about me seeing the world on the motorcycle, there is more to it than that. Throughout my journey I will be raising money for a disabled boy in Poland named Franek . At age the of 6 Frank was diagnosed with cerebral palsy (weakness of the entire right side of the body). He requires rehabilitation for life, which costs approximately $10 000 US a year. It may not sound much but it’s a big burden for his parents who are my close friends. Hello Mrs. Tanajewska ; back in 1969 when I got it of high school I bought a new Moto Guzzi 850 T3 ,took my girl to the UK (Southampton) via ship (TS Stefan Batory) and blasted off ……all of Europe and Morocco . Came home with a million memory’s and a burning desire to repeat ……well in the last several years (50 years later) I have returned to Europe with my girl (wife now) from the UK to Turkey with my 1996 Moto Guzzi 1100i , spent more time in Eastern Europe where most tourist avoid ………Fu@£ing¥ amazing ! From Gdańsk Poland to Greece via Croatia and off to Ephesus Turkey and back to Elba (Italy) for R&R ……..priceless . Just Fu€£ing do it ! You’ve got the stones and intelligence to comprehend that the world is a changing place , and opportunity only strikes once at best . My wife and I are now planning the Paris to Peking trip providing were both still alive come spring and the 96’ Moto Guzzi gets a well deserved oil change ……breaks are fine , never changed them …….ever ! Traveling is an education unto itself that cannot be experenced by any other means ….. God bless you , you’ll need it when you come to America ! Ray & Sue . 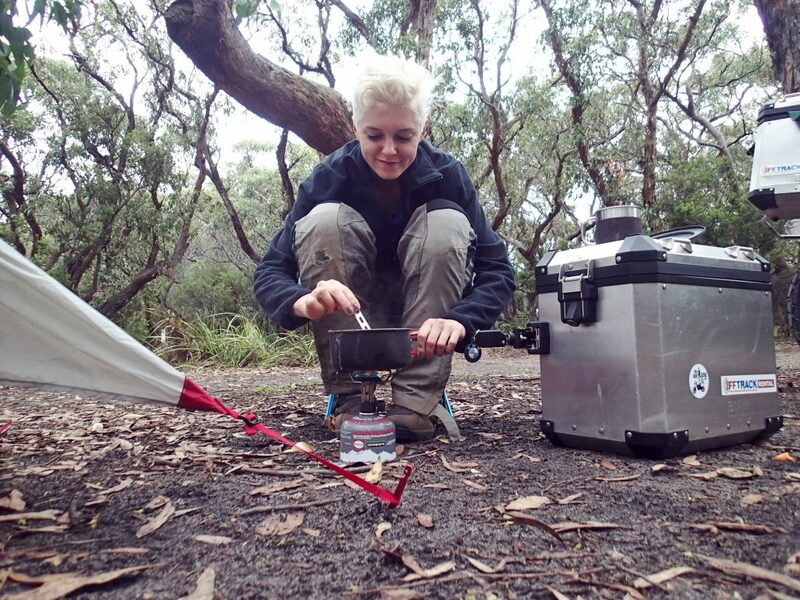 Thanks for this entry, I’ve been following her travels and am always fascinated and inspired by her determination! Would love to meet her on her North America leg.